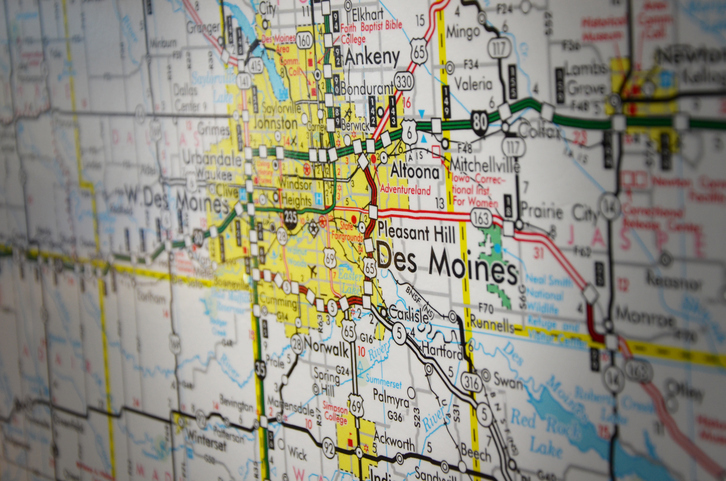 Millennials in pursuit of the American Dream are making their presence known in Des Moines, Iowa, which has been ranked by LendingTree as the leading city for homebuyers in this youthful demographic. In a survey of 100 cities conducted in a 12-month period that ended on Feb. 1, the Iowa capital saw the largest percentage of purchase mortgage requests coming from Millennials—42 percent—with an average loan amount of $141,785. 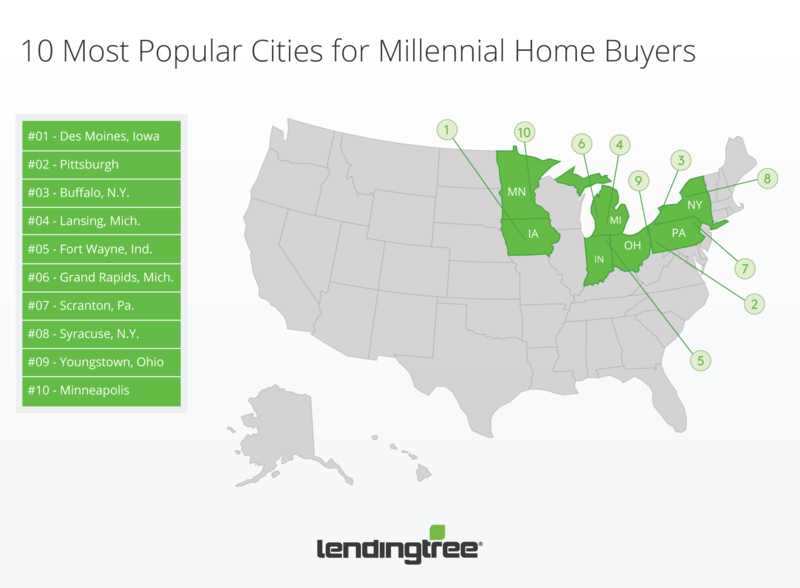 Second place in the LendingTree study was Pittsburgh, with a 41.9 percent share of purchase mortgage requests coming from Millennials and an average loan amount of $120,093. Rounding out the top five on this list was Buffalo, N.Y. (40.5 percent share, $114,087 average loan amount), Lansing, Mich. (40 percent share, $103,719 average loan amount) and Fort Wayne, Ind. (39.2 percent share, $112,681 average loan amount). At the other end of the spectrum, Sarasota, Fla., was the weakest market for Millennial homebuyers, with a measly 17.9 percent share of mortgage requests and an average loan amount of $173,760. In rankings by credit score, San Francisco’s Millennials had the highest average credit score of 691—no surprise, considering they an average of $462,724 on their property purchases—while Jackson, Miss., had the lowest credit scores at an average of 608.